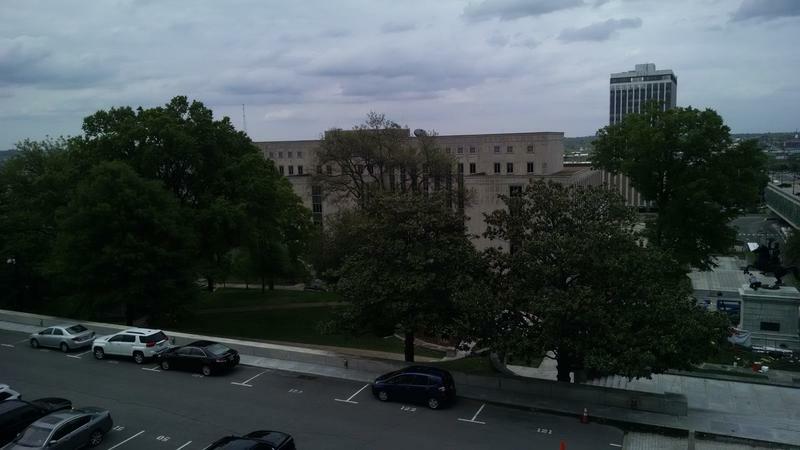 Will Tennesseans Treasure This Legislative Office Building As Much As Preservationists? The massive Cordell Hull Building ranks among the city's biggest office buildings, despite rising only nine stories. The Metro Historical Commission's Tim Walker marvels at the hulking gray building tucked away between the Capitol and Municipal Auditorium in downtown Nashville. "Truly, we'd never spend that kind of money to build a building like this today." The Cordell Hull Building rises nine stories and stretches about the length of a city block. Built in a simplistic style popular in the early 1950s, it might not look like much. But its limestone exterior gives it a stolid feel, and inside there are rose-colored marble finishes quarried right here in Tennessee. "So I think it's kind of exciting that it might have a use where the public gets to go in it more often and really appreciate it's beauty — the interior beauty of the building," Walker says. 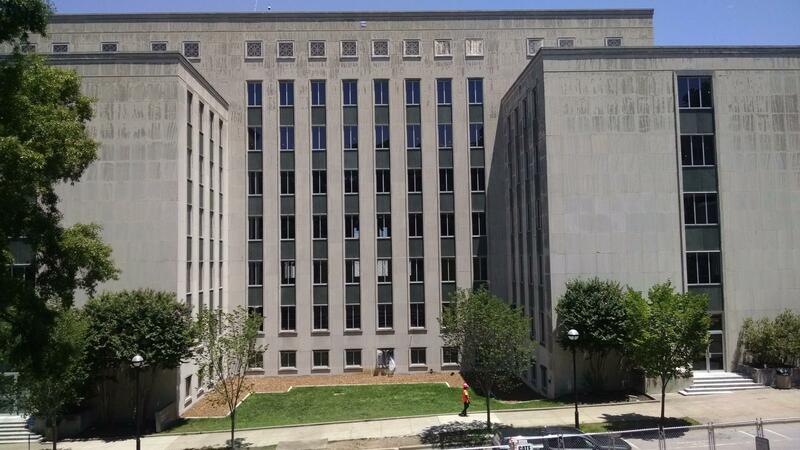 An architectural gem — that's how state officials and preservationists talk about the Cordell Hull Office Building. Four years ago, the office block next to the state Capitol was slated for the wrecking ball. Now, Tennessee is spending $100 million dollars to save it. Renovation work on the Cordell Hull began last month and is expected to take until the fall of 2017 to complete. When it's finished, it will become offices for state lawmakers, who plan to abandon their longtime home in Legislative Plaza. It will thrust into the public eye a structure that up to now has really only been seen by government workers. Many in Gov. Bill Haslam's administration were ready to see it torn down four years ago. "It's a grand old building," says John Hull, the head of the state of Tennessee's real estate management operation. (He's no relation to the building's namesake.) "We think it's a value, actually, to renovate this old building and keep its character the way it is." 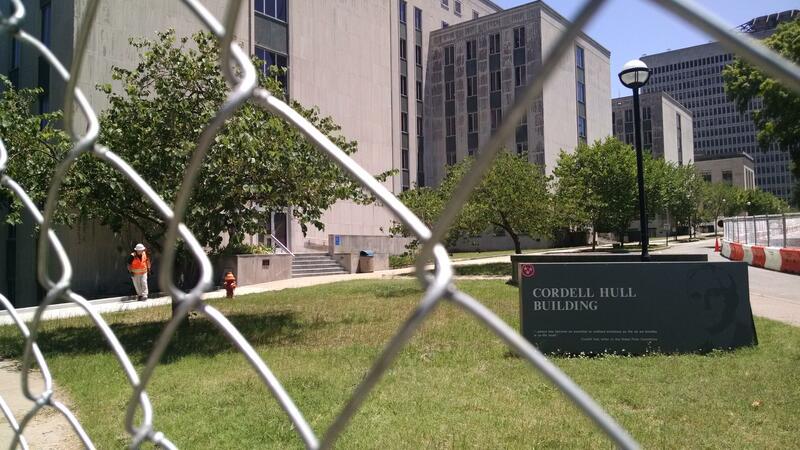 Renovations to the Cordell Hull started with asbestos abatement and are expected to take more than a year to complete. Hull says people familiar with the Cordell Hull will recognize the building after it's renovated. Although it's being stripped to the plumbing and retrofitted with legislative offices, its signature traits — like its marble — will be left in place. But some changes will be made. A tunnel will connect the Cordell Hull to the base of the Capitol. The state says it'll provide access for people with disabilities. The building will also be expanded with the addition of ground-floor hearing rooms. Conceived as a workspace for state workers, the Cordell Hull building had no meeting spaces large enough for a legislative committee. It's those hearings and tours of the legislative offices that will bring many Tennesseans in to see Cordell Hull for the first time. The hope of preservationists is that it won't be long before the building becomes a beloved part of the Tennessee Capitol. 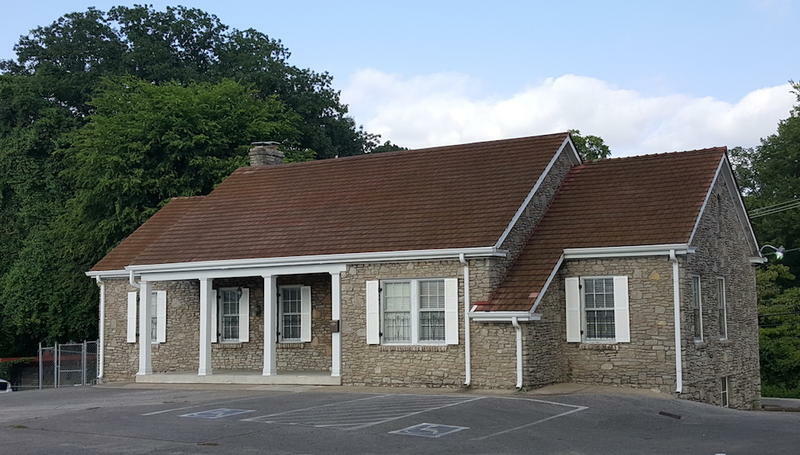 Tennessee lawmakers could soon have a new base of operations — the Cordell Hull Building. Republican leaders are weighing a move out of the War Memorial Building and Legislative Plaza, lawmakers' home for more than four decades. Those office buildings need $58 million in repairs, according to House Speaker Beth Harwell. She says it would be $14 million cheaper to fix up Cordell Hull. A heightened sense of urgency accompanied today’s announcement of the “Nashville Nine” list of endangered historic properties. Just one day before the non-profit Historic Nashville Inc. revealed its list, a marquee building identified on last year’s list — the Trail West building on Lower Broadway — was abruptly torn down by its owners. No doubt about it: In one unsuspecting Madison home office, Elvis was definitely in the building. 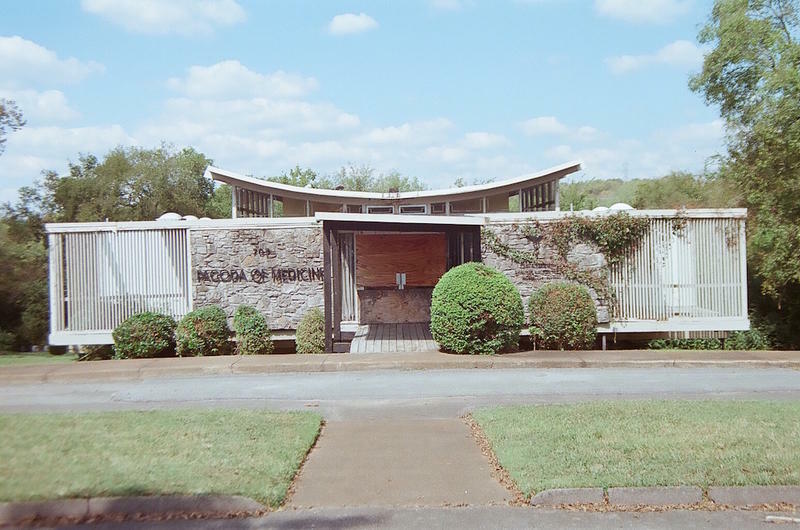 But now the site where “Colonel” Tom Parker made Elvis Presley a star has been named to a list of Nashville’s endangered historic properties as the desire to save history runs up against the skyrocketing value of the corner lot. Nashville’s entrepreneurs have been brainstorming about how to make life better. This week, they presented 38 of their ideas to city leaders. No surprise, traffic got the most attention. The business owners made a number of suggestions. They include encouraging more companies to let employees work from home or shift their schedules to miss rush hour.